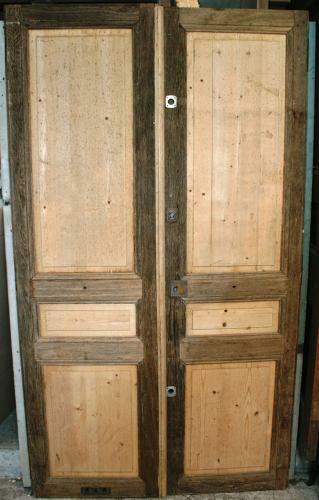 This pair of Victorian doors date back to c. 1880. The main construction is oak with solid pine panels. The doors are suitable for internal use and are of morticed and tenoned construction.The doors also have two elegant bolts and If you want recievers we will be able to find something compatible. They have been tank stripped and the oak will need some sanding because there are some slight cracks in the grain. Great character doors with an unusual design that will make a great feature in a period home.